Quick Note: Normally, I have a plethora of previews for you. However, this week, the “Hollywood Higher-Ups” were stingy in their trailer releases and are saving them for an audience of higher numbers during some sort of small sporting event this Sunday called the “Superbowl” or something like that. 😉 That being the case, the trailers were very very slow in coming this week. SO, below you will find a few short sneak peeks of what to look for during the commercials of the Superbowl in terms of movie trailers. **Don’t worry. If you miss any of them during the big game, I will have them for you on a special recap post the day after! The Lone Ranger (SB Teaser). Many doubted this film would reach completion. Watch this teaser for the upcoming Super Bowl spot for this Armie Hammer/Johnny Depp western adventure. Hi-Ho Silver! Oz: The Great and Powerful (SB Teaser). Sam Raimi takes us back to where it all began for Oz. Look for the Super Bowl tv spot for this adventure starring James Franco, Mila Kunis, Michelle Williams, Rachel Weisz and more. Star Trek Into Darkness (Teaser Trailer). Look for a 30-second trailer during 2nd quarter of the game. (That tv spot will also serve to launch a new app for the movie. See details HERE). 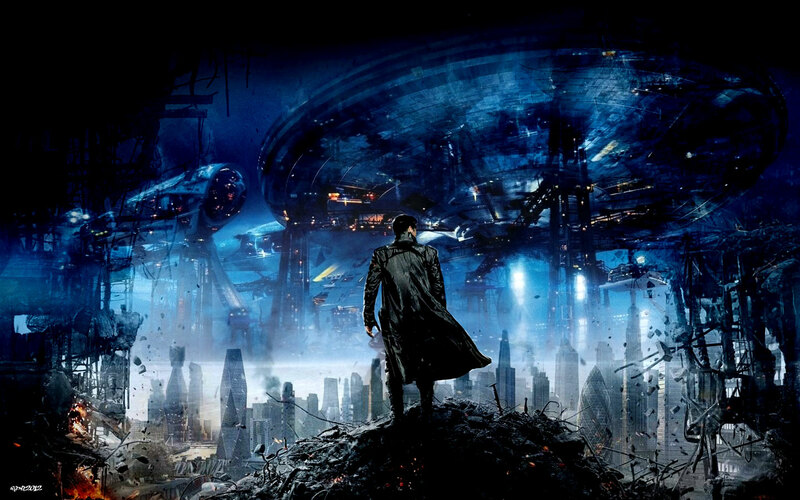 Star Trek Into Darkness is directed by J.J. Abrams and will also be available in IMAX and 3D. Don’t miss the special behind-the-scenes featurette at the bottom of this post. Iron Man 3 (SB Teaser). Tony Stark hits the big screen again and fans can’t wait to see more of Iron Man. Here’s the teaser for the Super Bowl spot for Iron Man 3. Additional: Clevver Movies report on additional trailer for Fast & Furious Six and World War Z. Which trailer(s) are you MOST excited for on Sunday? Excited for Star Trek Into Darkness? Check out this quick behind-the-scenes featurette sharing a little of what to expect from the upcoming film. Star Trek Into Darkness releases in theaters on May 17, 2013 and brings back many of our classic favorite characters. Get ready to continue to go boldly where no one has gone before! Like I said, in case you miss the game, I will have a post shortly thereafter that will include the trailers from the Super Bowl so that you can watch them all in one place. That will tentatively publish on Monday. My favorite trailers from today: Iron Man 3, Oz: The Great & Powerful and Star Trek Into Darkness. Which ones are your favorites?? Limited Release: Stand Up Guys, The Gatekeepers, The Haunting in Connecticut 2: Ghosts of Georgia and more. Definitely will be seeing Lone Ranger for Armie Hammer/Johnny Depp combo. Hammer is such a fiiiine eye candy, would love to see more of him in movies. Bah. Just give me the game on Sunday, you know? Movies have the whole year. Sunday should be about football.